Description: What could be more fun than to personalize scrapbook pages, memory albums, cards or invitations. Make it easy with Paper House Stickers. 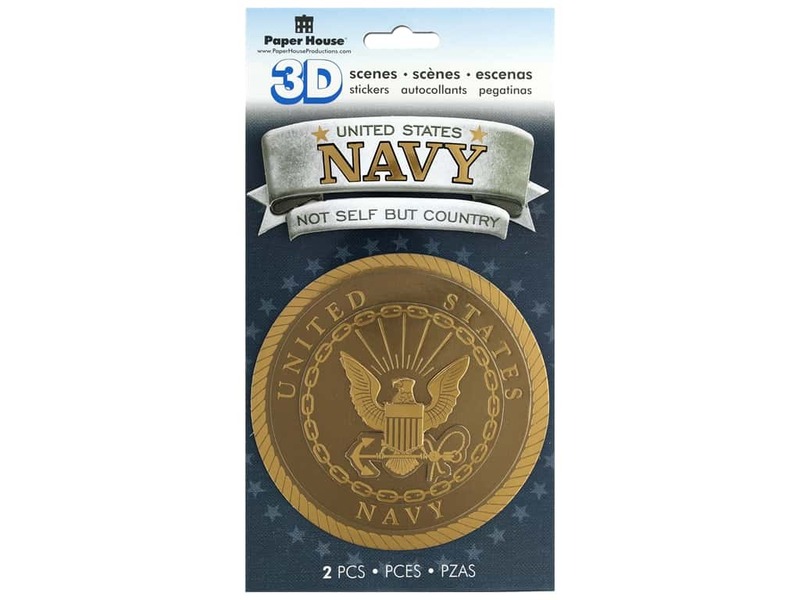 3D Navy Emblem- Dimensional stickers of the Navy emblem and a banner with the caption: United States Navy, not self but country. With gold foil accents. Largest measures approximately 4.25 in. x 4.25 in.